The dangers of blind cords are risky to both children and pets. Tangles and frustration are constant struggles. The injuries are not worth it. 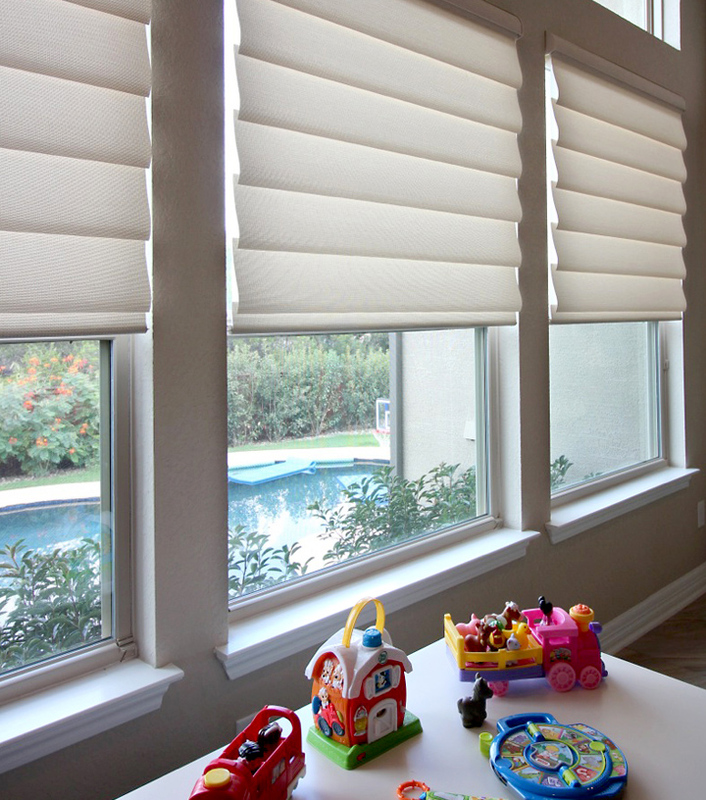 Give yourself peace of mind with cordless blinds and shades. Not only do they make your home child safe and pet safe, but you’ll wonder why you didn’t transition sooner! The clean look and simple operation with our classic Cordless Lifting System, LiteRise®, and SimpleLift™ make cordless blinds, shades–and shutters–a favorite. You can even control your cordless window treatments from your favorite device with PowerView motorization.